Today, many people are incorporating healthy fatty acid in their diets for numerous nutritional benefits. Now with Rapid Fire™, you can experience this innovative “all-in-one” instant coffee that tastes like it was freshly brewed. No need to go to your barista, this full-bodied coffee is rich and bold, yet creamy. 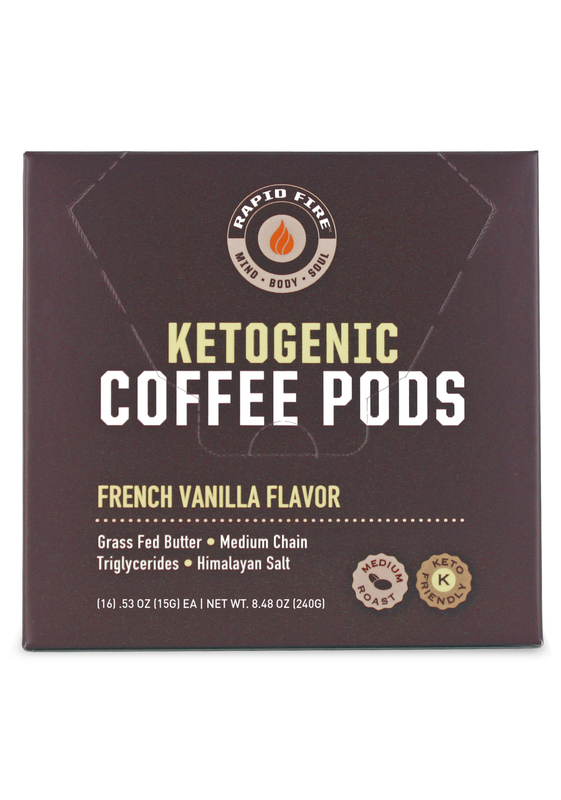 The slow-roasted organic coffee beans of Rapid Fire™ Ketogenic Coffee provide nutrients that no other coffee can provide. 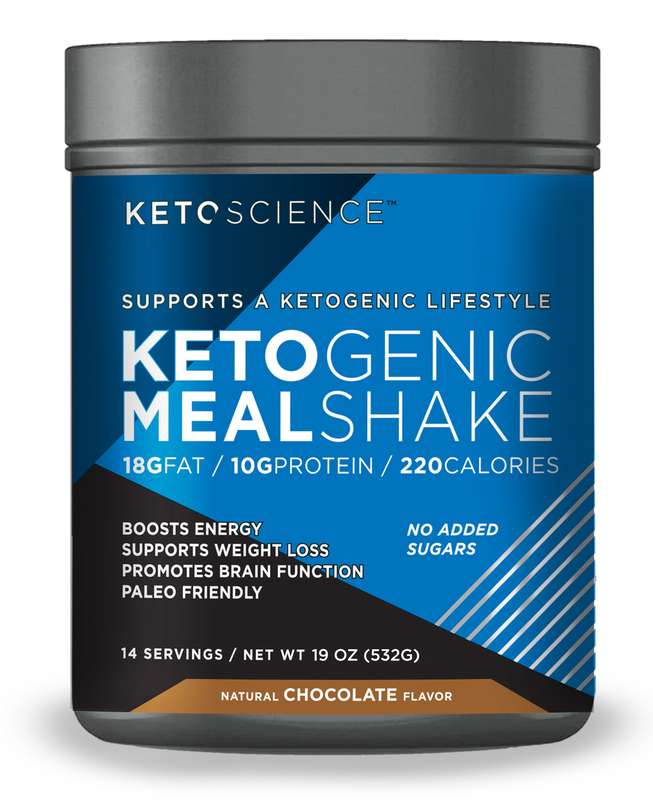 Coconut oil and MCT oil are both known to enhance cognitive function, support weight management and power the brain and body for steady, all-day energy.† MCTs have also been shown to suppress your appetite for hours, so you’ll feel full longer. Grass-fed butter contains butyrate, a short chain fatty acid that helps the digestive system to function properly.† The many hues of pink, red and white are natural indications of Himalayan salt’s 80 plus complex minerals and elements. These minerals have been shown to create an electrolyte balance, aid metabolism, promote circulation and absorb nutrients quicker. 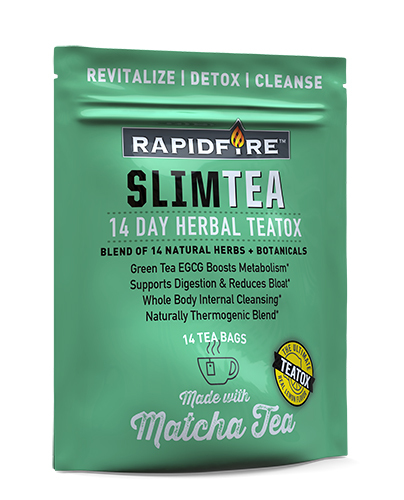 Rapid Fire™ is packaged in resealable bags, canisters or individual serving pods. This super creamy coffee beverage is delicious hot or iced. 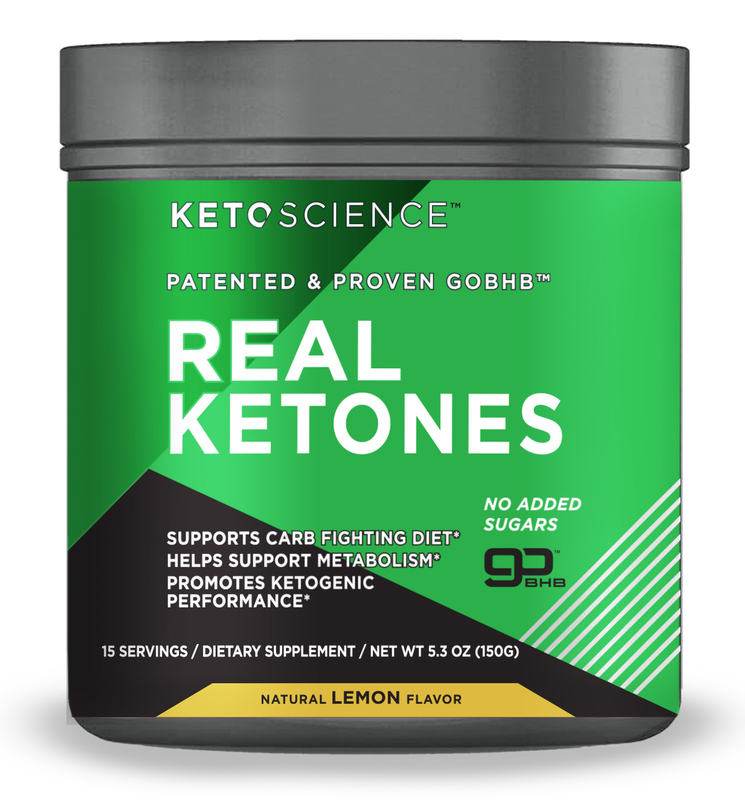 Rapid Fire™ Coffee is designed to be part of your Ketogenic diet or any healthy diet by helping to satisfy your hunger, burn more fat and promote physical and mental performance. 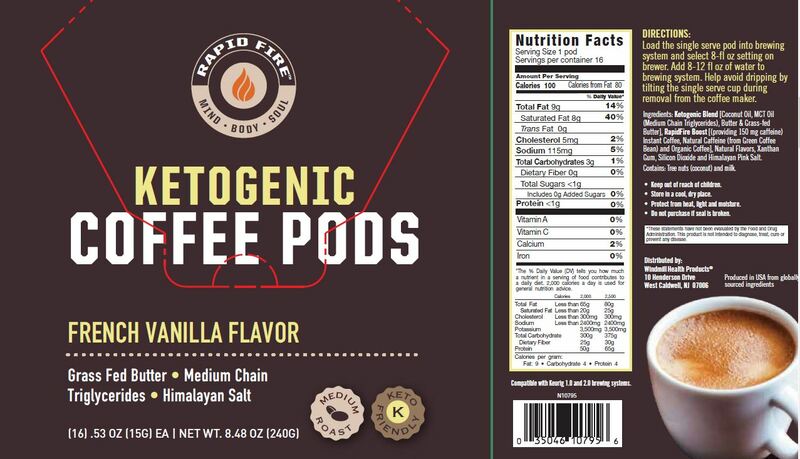 Other Ingredients: Ketogenic Blend [Coconut Oil, MCT Oil (Medium Chain Triglycerides), Butter & Grass-fed Butter], RapidFire Boost [(providing 150 mg caffeine) Instant Coffee, Natural Caffeine (from Green Coffee Bean) and Organic Coffee], Natural Flavors, Xanthan Gum, Silicon Dioxide and Himalayan Pink Salt. Contains: Tree nuts (coconut) and milk. SUGGESTED USE: Load the single serve pod into brewing system and select 8-fl oz setting on brewer. Add 8-12 fl oz of water to brewing system. Help avoid dripping by tilting the single serve cup during removal from the coffee maker.